Occupying the highest part of the village is the Santa Maria collegiate church. 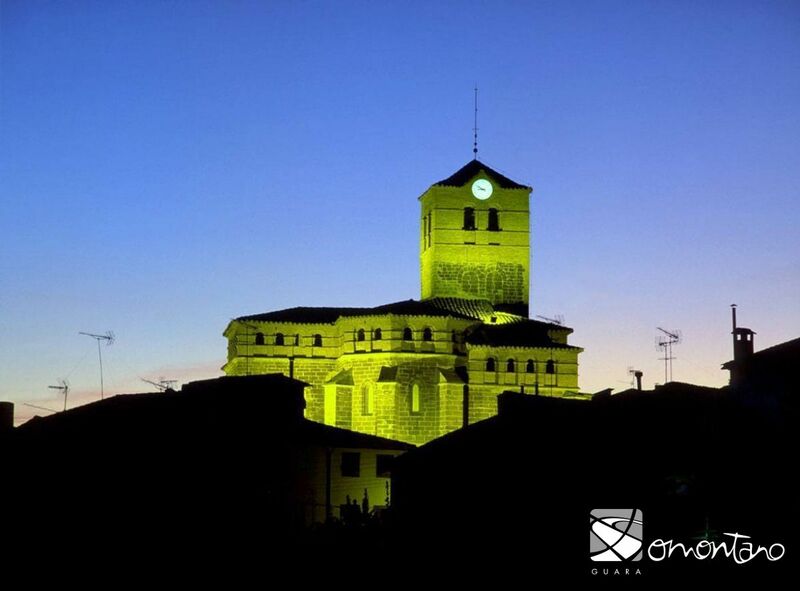 The building reveals a full history of Abiego; from its history as an old mosque and Arab castle to a church and Christian fortress after the reconquest of 1095. The tower had a defensive role during the medieval centuries. 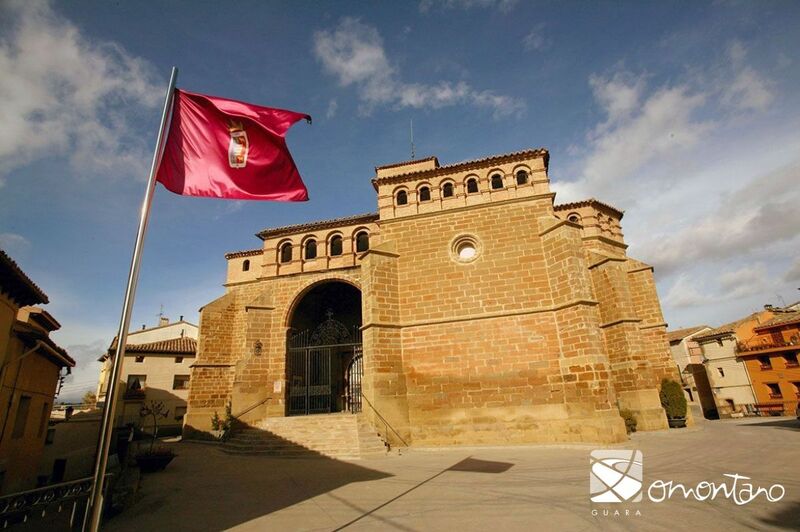 In the 16th century the current construction, orchestrated by Joan Torón, substituted a Romanesque temple. Joan Torón was experienced with the use of stone and the art of architecture and left his signature on the door of the vestry. He went on to work on other buildings, many of which are considered to be the best churches in Somontano and Sobrarbe, such as those in Naval, Olsón and Colungo. 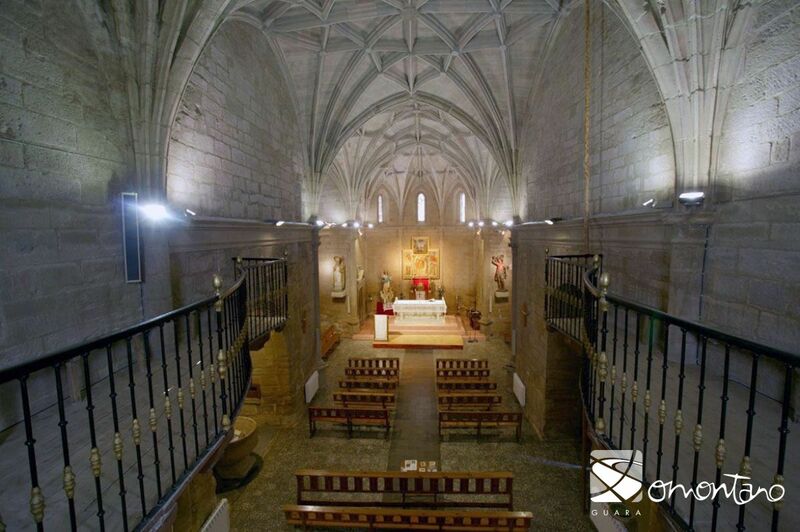 The church in Abiego is one of the most beautiful and harmonious buildings of the late Gothic period and the only one of its type in Somontano with a Latin cross floor plan. 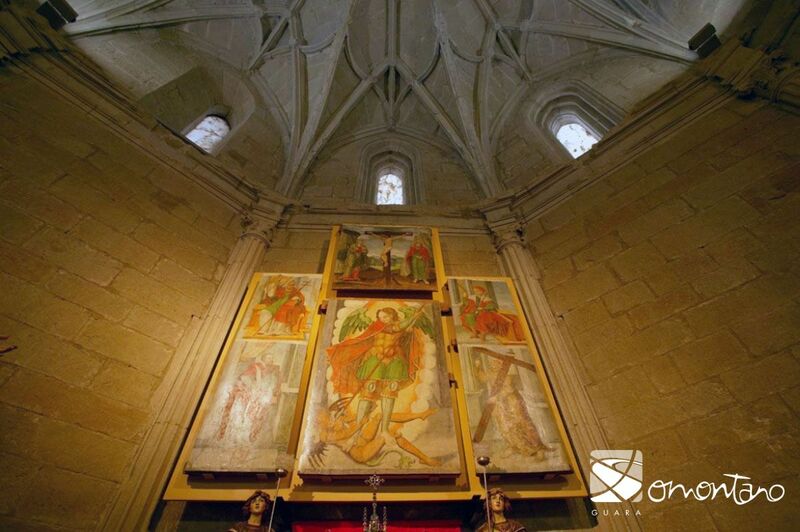 According to medieval symbolism, the floor plan of a church imitates the form of Christ on the cross; the apse corresponds to his head, the nave to his body and the transept to his extended arms. The intrinsic beauty of the church comes from the harmonious proportions. According to architectural teachings of the era, “the greatest and most important decoration is an excellent relation between all parts.” In Abiego the transept is twice as high as, and three times wider than, the nave. This church demonstrates the late survival of the Gothic style alongside decorative elements that infuse the building with the more modern Renaissance air. 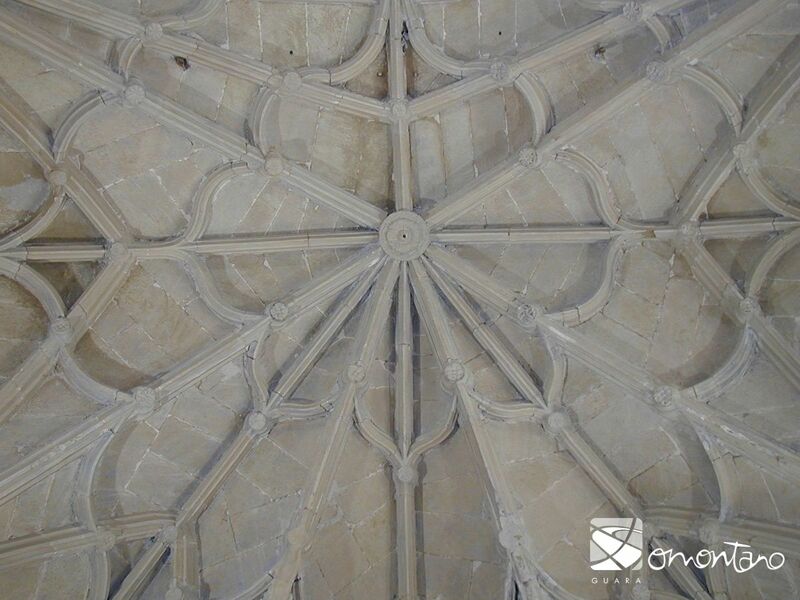 The churches of the 16th century were covered with flexible and resistant stellar rib vaults, typical of the Gothic era. 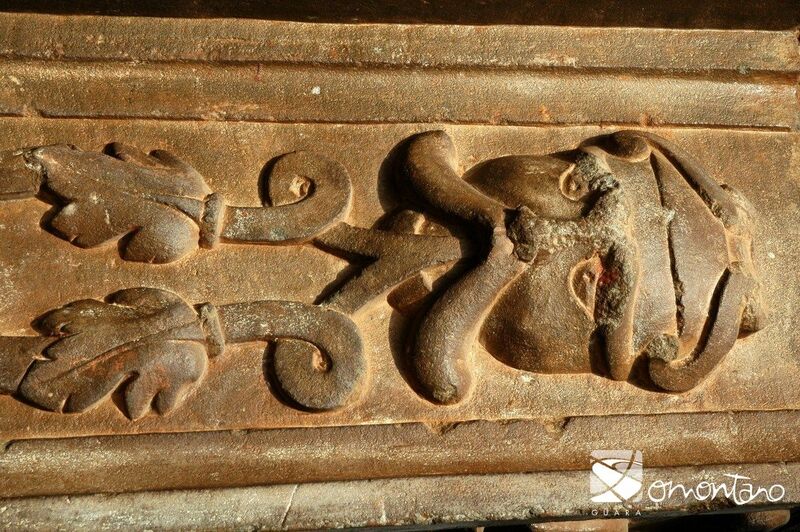 Although it was normal in Somontano for the ribs to be made of brick and plaster, in Abiego they were made of stone. The external decoration is Romanesque, with grotesques and masks mounted around the entrance. The intended effect was a contrast between the rich make up of the decorated areas with the starkness of the rest of the walls. Inside the columns reflect classic design. 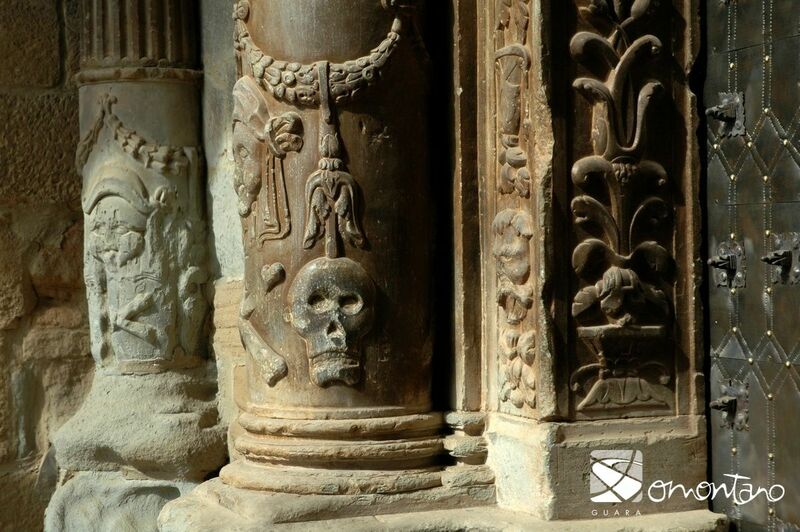 The ashlars of the church’s exterior walls contain signs of lapidary and the stone masons’ marks. Many stone masons had their own individual mark to identify their work, which was also useful at the time of earning a wage; a stone carved and marked meant a stone billed. The Christian churches were typically built with an eastern aspect to face the rising sun. The east is the place of Paradise and the Holy Land as well as being the direction from which Christ will emerge for the final Judgement. On the Feast of the Virgin Mary, the 15th August, a ray of sunlight enters the apse at 9 o’clock in the morning. Between 8 and 8.30 the same evening, the light enters the oculus and illuminates the altar. The rite of orientation establishes a relationship between cosmic order and order on earth; between divine rule and human rule.